Listen to podcast interview with Kate and Matthew on Roger Yates' On Human Relations with Other Sentient Beings. 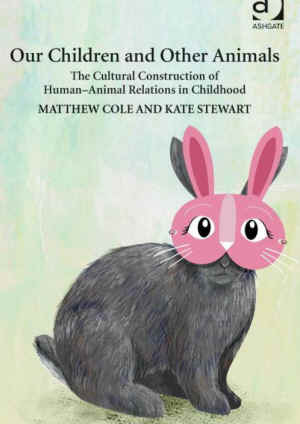 Providing a sociological approach to the issue of how children are taught to think about and experience animals, the authors illuminate the re-production of oppressive attitudes through children’s culture. Ultimately, this is a hopeful book, not only because it demonstrates the importance of sociology in understanding human-animal relations, but also because recognizing how exploitation is normalized offers possibilities for exposing its illogicality and refusing its harms. Matthew Cole is a sociologist and an associate lecturer and visiting honorary associate at the Open University, UK. Kate Stewart is Lecturer in Social Aspects of Medicine and Health Care at the University of Nottingham, UK.